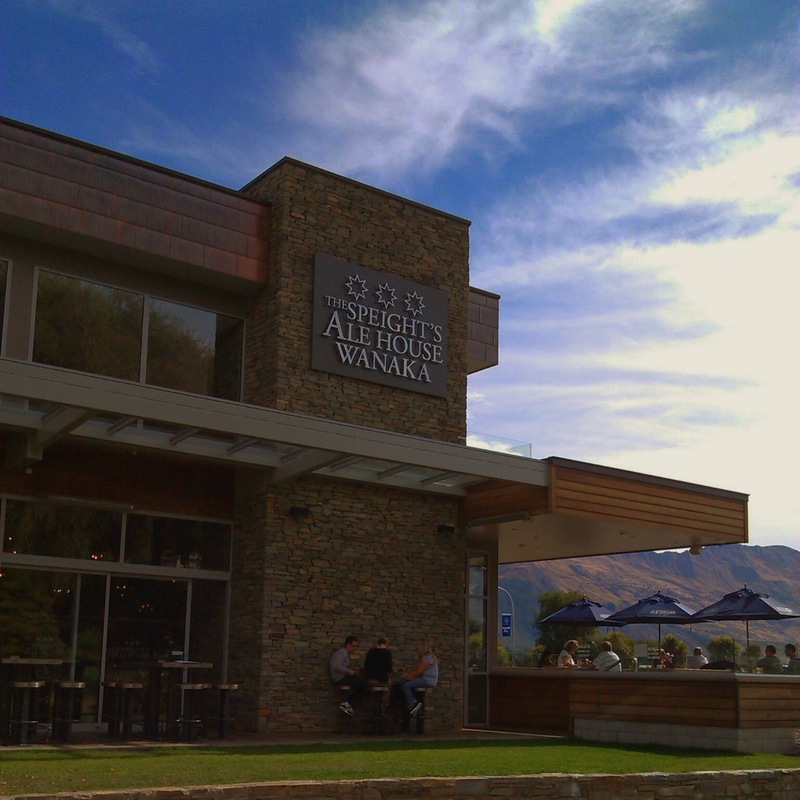 We popped in to the Speights Ale House Wanaka to grab a late lunch. It's right across the road from the lake with wonderful views across to the surrounding mountains. 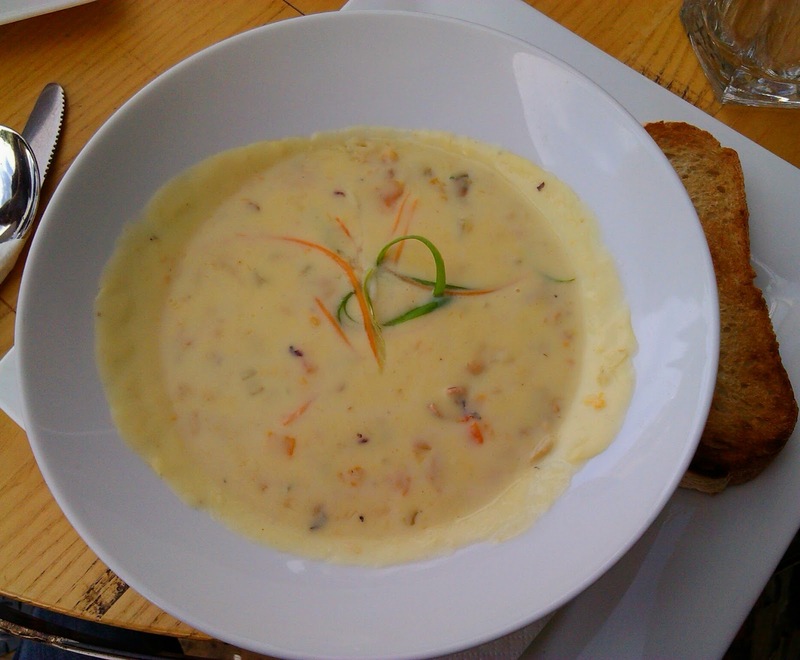 We hadn't had our usual fill of seafood chowder on this visit to NZ, so jumped at the opportunity. This version was much more creamy than most previous ones we'd tried, the fishy flavours were still there, but I missed the texture that comes from the potato and corn despite it being "loaded with mussels, shrimps, calamari and smoked fish." It was served with toasted ciabatta. 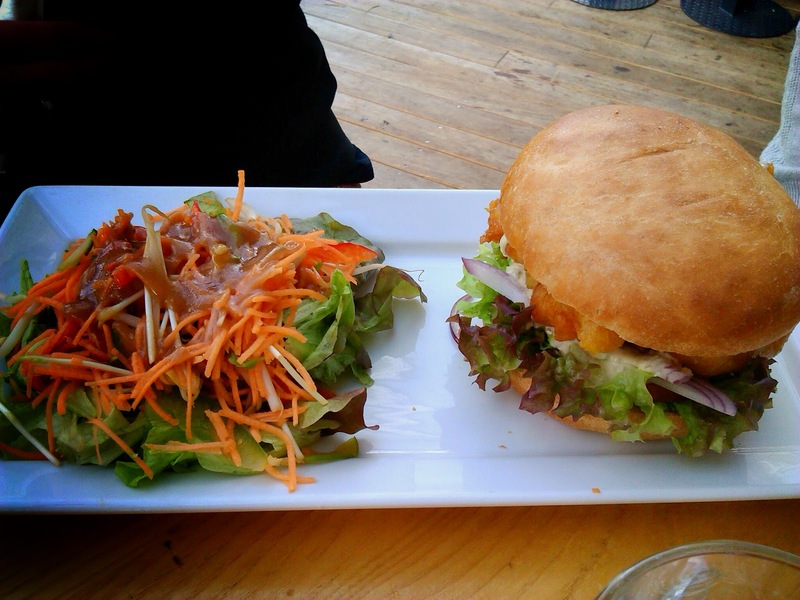 The fish burger contained a good sized chunk of nicely battered Chatham Island blue cod in a toasted bun with lettuce, tomato, red onion and house made tartare sauce. The salad dressing looked a little unappetising but the ingredients were fresh. The location makes this a great a spot to enjoy some great views while you drink or dine and food isn't bad. The service was fine, although our choice of table apparently made us hard to find!